Pailin sits in the Cardamom Mountain range which is very peaceful, majestic and beautiful and is acclaimed for its history, former Khmer Rouge stronghold, agricultural abundance, waterfalls, greenery, fruit farms, rubies, sapphires, topaz stones and opals. Fresh and clean air, mountains, and the stunning views make trekking, hiking and cycling in these verdant trials invigorating and relaxing at the same time. In addition, swimming at the base of the remote waterfalls in the area is a perfect escape to nature and ideal for fond memories. Before Khmer Rouge took over Cambodia, Pailin was well known as a land rich in gems, timbers and fruit tree orchards. During the French colonial period, Pailin was home to a variety of coffee and rubber plantations set up by the French protectorate government. 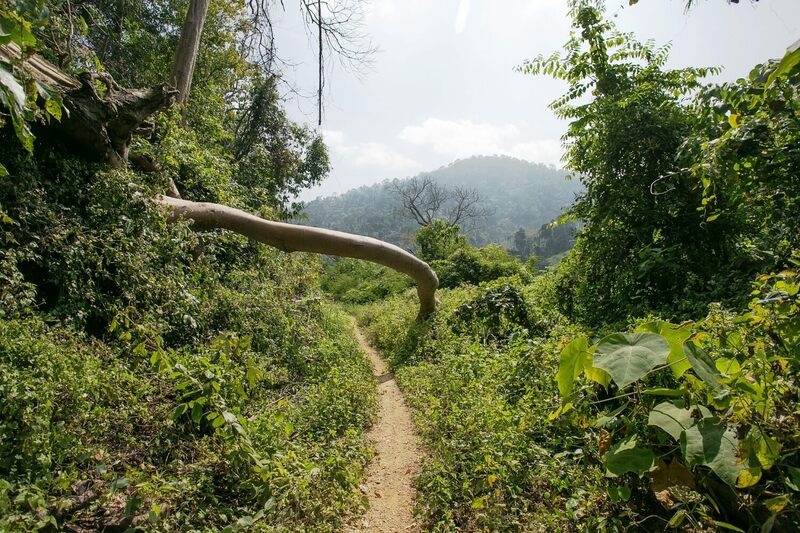 In the late 1970s, Pailin prospered from the extensive logging and gem deposits in the surrounding countryside. Because of its abundant natural resources, it was one of the first cities invaded by the Khmer Rouge when they began their major offensive invasion against the national government. Until late 1996 Pailin was a major Khmer Rouge stronghold. Khmer Rouge traded gemstones and timbers with Thailand for survival. It is said that 70% of the area’s older men were fighters for the Khmer Rouge, but none of the regular fighters have yet been brought to justice. Up until late 2007, Pailin was home to Pol Pot’s brother No. 2, Nuon Chea and brother No. 3, Ieng Sary and his wife Ieng Thearith, former minister of Social Affairs, and former Head of State, Khieu Samphan, before they were arrested, detained and charged by the UN backed Khmer Rouge Tribunal. Hundreds of bullet holes remain in the walls of the old buildings, serving as a reminder of Khmer Rouge’s war on Cambodia’s peace and loving people. Pailin Province is the newest and second smallest province in Cambodia, with 803 square km. Before reintegration in 1996, the population of Pailin was 17,850. Seventeen years later, the population of this area is about 70,000. Pailin, historically known for gem mining and processing, is recovering from its war torn past. Today, Pailin is transforming into an agricultural production center. 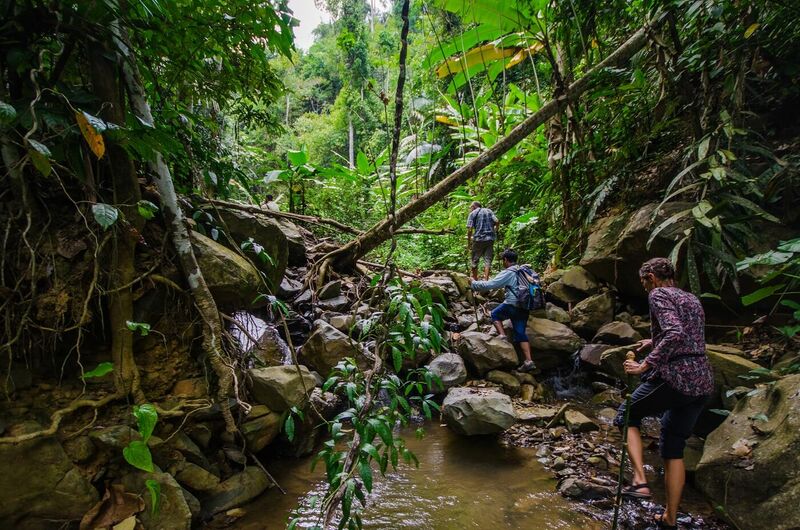 More interestingly, Pailin has great potential for ecotourism with its command of the northern approaches to the Cardamom Mountains’ waterfalls, rivers, untouched forests and abundant wildlife. Visitors to the Pailin area can experience the moving memorial at the Well of Shadows and get first-hand knowledge of how ordinary Cambodians suffered and survived during this period. With a wide variety of natural leisure activities, you can enjoy cycling, trekking, hiking, viewing landscapes. Involve yourself with local livelihood activities like agricultural activities which will immerse you into a real combination of communities' life experiences and natural tourism in Pailin, a realm of yet explored treasures. Pailin is about four hours drive from Bangkok, three hours from Koh Samet or Pattaya, two hours from Rayong or Koh Chang, five hours from Phnom Penh, three hours from Siem Reap, one hour from Battambang, and close to the new (safe and easy to transit) Thai border crossing (Ban Pakard/Phsa Prum Border).